The 2018 Fall Meeting schedule has been adjusted to make it easy for committee and task force members to also attend the Digital Supply Chain Forum for a discounted fee. In addition to the important committee and task force work of the BSA Fall Meeting, there will be networking opportunities at lunch and dinner with BSA Digital Supply Chain Forum Attendees and ABMA meeting attendees. The 2018 BSA Excellence Awards will be presented during the group dinner on Monday, September 17. Nate Bolin has significant experience advising clients in compliance, transactional, litigation, policy and regulatory matters involving U.S. national security and international trade laws. Before entering private practice in 2004, Nate was an International Trade Specialist at the International Trade Administration of the U.S. Department of Commerce, working on trade negotiations and trade agreement enforcement and compliance. 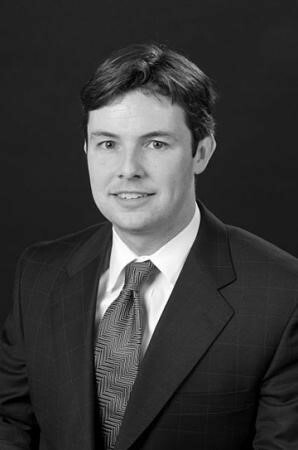 Prior to joining Drinker Biddle & Reath LLP, Nate spent over 13 years working directly with the current U.S. Trade Representative, Ambassador Robert Lighthizer, on various trade issues. In the area of trade policy, Nate has been actively advising clients on the NAFTA renegotiations, the Section 301 investigation of China’s technology transfer policies, and the Section 232 actions against imports of steel and aluminum. Nate also frequently represents clients in trade cases before the U.S. Department of Commerce, U.S. International Trade Commission, Court of International Trade, and U.S. Court of Appeals for the Federal Circuit. Jim Wilson counsels non-profit organizations on a range of corporate, regulatory and legislative matters. Mr. Wilson's practice principally consists of serving as general counsel to trade associations, professional societies and other non-profit organizations. In that capacity, Mr. Wilson advises his clients on issues relating to corporate organization and governance, tax, antitrust compliance, commercial contracts, real estate lease and acquisition transactions and employment matters. He also represents nonprofit executives negotiating employment agreements. He frequently speaks and writes on many of these topics. Mr. Wilson is a past Chair of the American Society of Association Executives (ASAE) Legal Section Council.